Seniors in Glen Allen can stay fit with the numerous exercise options at American Family Fitness. Get fit, have fun, and improve your health, all at the same time! Seniors can enjoy the gym too! American Family Fitness offers numerous group classes, including aquatic options, that improve strength, balance, and range of motion. To avoid injury and strain, we also provide personal trainers for one-on-one guidance and safety. With the single station cardio and strength training equipment we offer, seniors can work at their own pace, gradually building muscle tone, endurance, and speed. We can modify classes, if needed, in case a chair is needed for support. Are you ready to challenge yourself to a new level of health? We're ready and waiting for you. By increasing your level of activity even just a little, you'll improve your health and reduce the risk of chronic illnesses such as heart disease, stroke, diabetes, and osteoporosis. You'll also improve your energy and strengthen your immune system with regular exercise too. 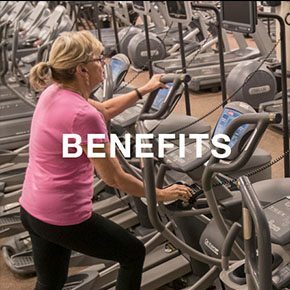 The benefits of aerobic activity and light strength training are numerous for seniors, and at our health club in Glen Allen, you can work at your own pace. Although the gym may seem intimidating, don't let it frighten you! 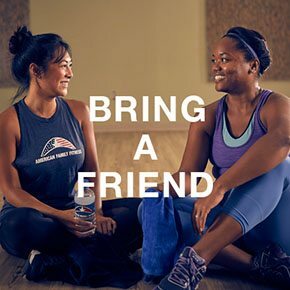 At our gym in Glen Allen, we have group exercise classes daily, and you'll meet people who are just as excited about health as you are. 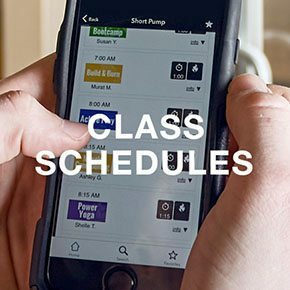 Check the Class Schedule page to find the convenient dates and times of our senior fitness classes.